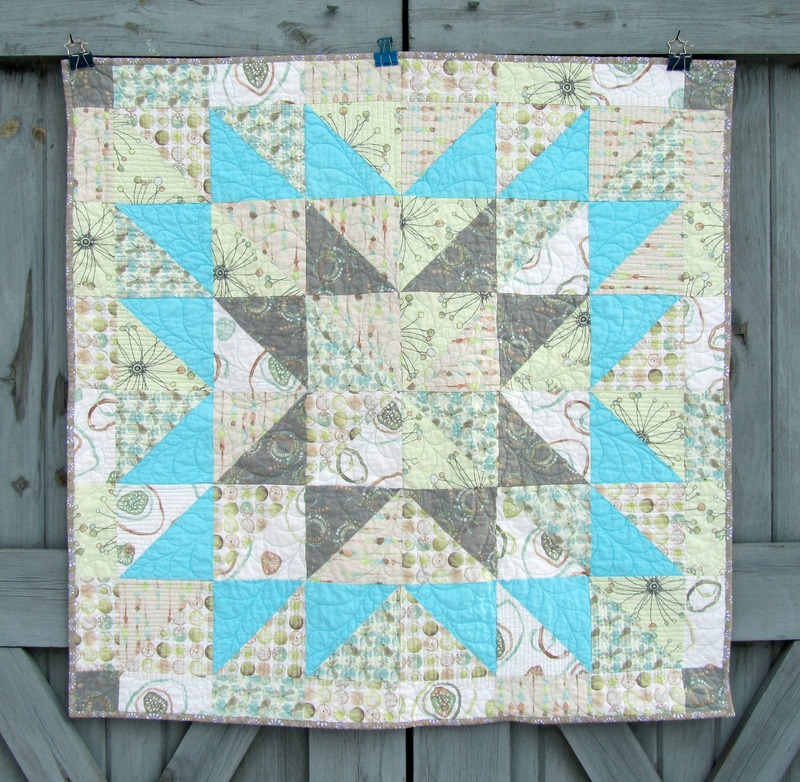 Here’s a quilt that’s a bit different for me, since I do like bright color. I purchased this fat quarter bundle on a whim this fall. The colors spoke to me. The gray is pretty, but it overpowers the lights. I added Kona Azure, but that was also very strong. I knew I wanted to cut these up as little as possible, so I made 6″ HSTs with them. I wanted to arrange them in a random design across the quilt, but it looked terrible. I finally added some more Azure and made this star. And (surprise!) 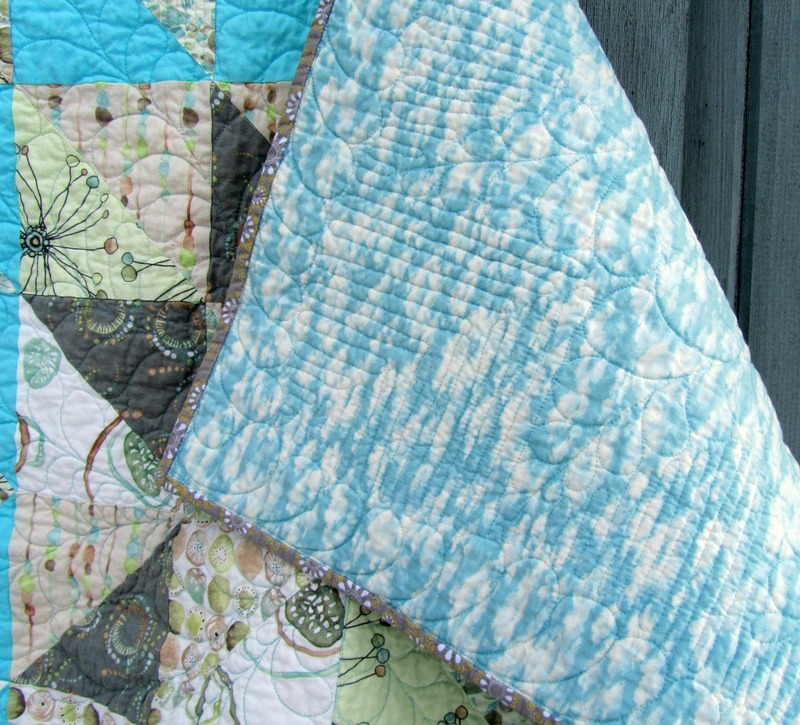 I quilted it with feathers. 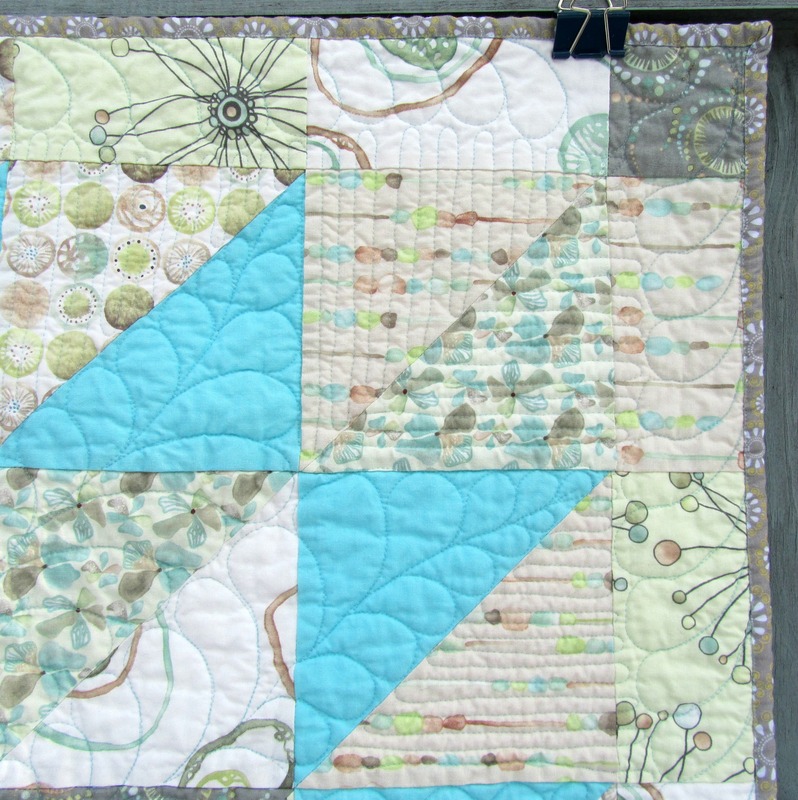 I used aqua Bottom Line for all the quilting, top and bottom. 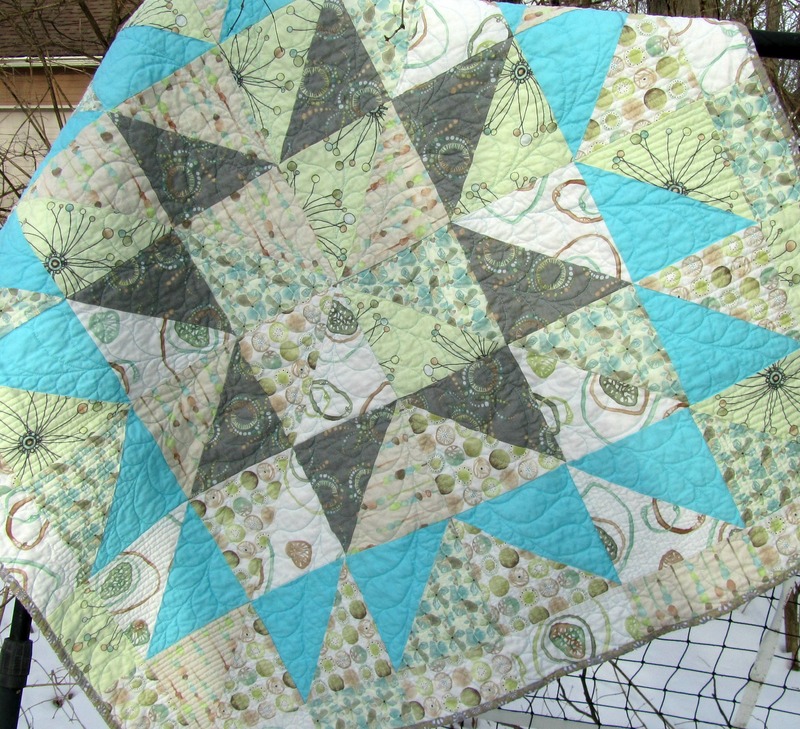 It is very restful and soothing, and I was sad when I had no more areas to quilt. I backed this with an aqua cloud print. A very successful little quilt. 38″ square. 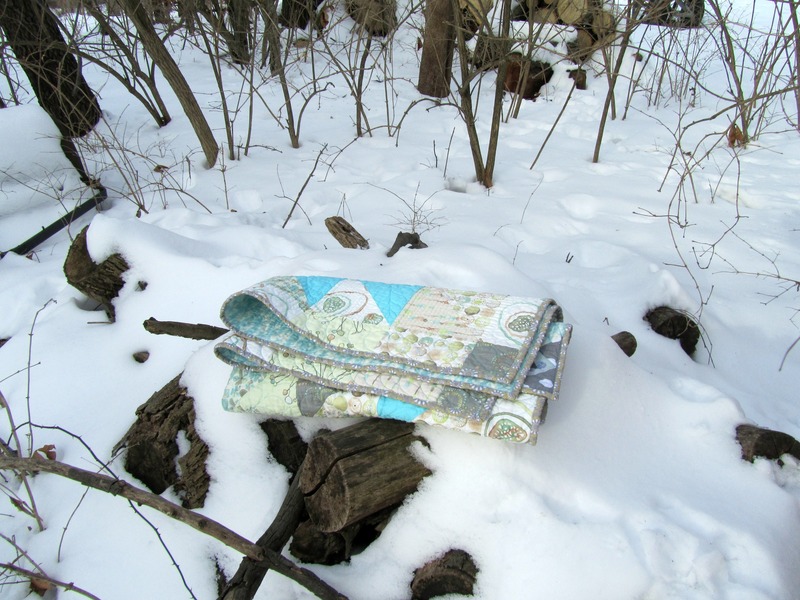 The snow makes a beautiful backdrop for quilt photos, but enough is enough. Four to six more inches tonight… Stay warm and sew, everyone! 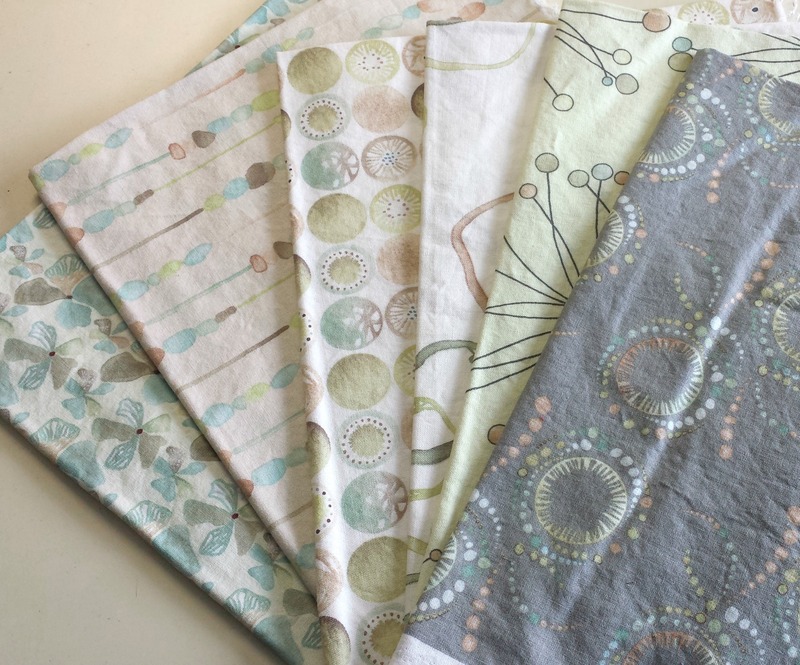 Categories: Finishes | Tags: baby quilt, Evening in the Garden, Kona Azure, low volume, superior thread, Valerie Root | Permalink. Beautiful!! That aqua color makes it really pop! I just love it! Nice work!! LOL, I purchased that same bundle this fall, also on a whim. Just pulled it out a couple days ago, trying to get an of idea for it. It’s such a calming quilt Valerie! How is your Etsy store doing?